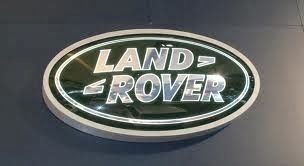 land rover defender 110 ex MOD. 1990. 2.5 NA.141242 miles (clock is in kilometers) this my go up slightly due to being used daily. .by no means perfect, but is in great condition all round for the year. just a few small advisory's on the MOT. 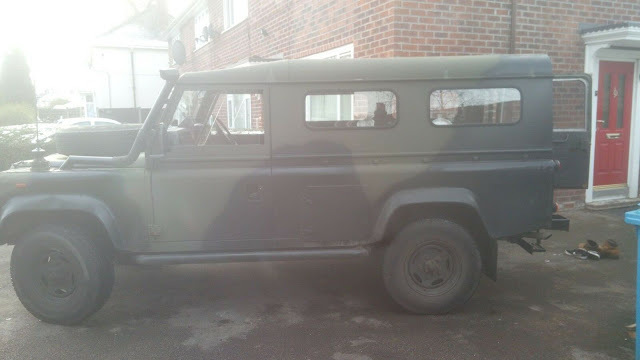 MOT'd till march 2020. ive owed this landy for around 12 years. just up graded to a td5..all 5 tyres are great. underneath is very good.rear chassis member is brilliant. sat nav double din radio.. great starter and has never let me down. its had far too many part to mention over the last 12 years. please come and view and ask any questions. 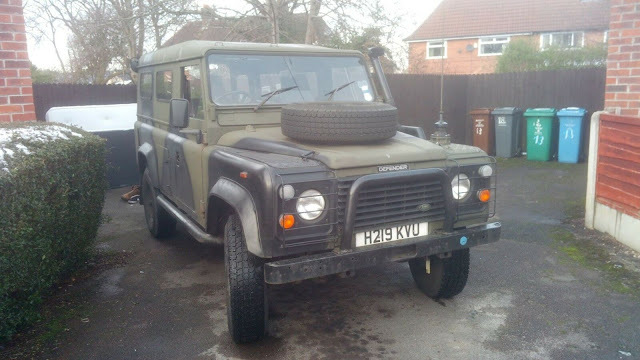 i need this gone , i need the room, so its set very very low priced with no reserve, but dont let this put you off.. you are bidding to buy not just to come and have a look. cash or bank transfer only..collection south Manchester.